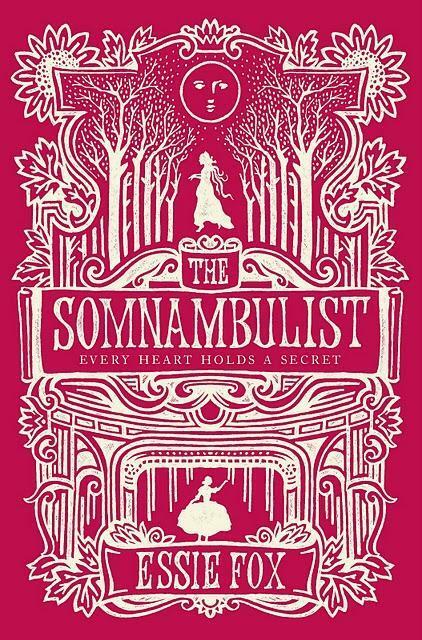 Some books catch your eye with the covers and ‘The Somnambulist’, Essie Fox’s debut novel, certainly did that when it came out in hardback because it was a rather vivid pink. My instant reaction was ‘possibly chick lit’ but I picked it up had a nosey and realised it was a modern take on the sensation novel. I love sensation novels, partly because I adore the Victorian period but also because invariably they are filled with mystery, gothic old mansions, illicit affairs and some melodrama. What a treat to read. The cover though would I read it on the train? What was I going to do about that? Well I left it however it was sent to me a few months ago, by the kind people at Cactus Productions along with all the other TV Book Club choices, with a new redder cover (and one a little less heavy) and so I decided it was time to settle down and get lost in it. ‘The Somnambulist’ is one of those really tricky books to review as you fear you will give lots away. Like all good sensational tales there are mysteries to solve and unexpected twists and turns in store and I wouldn’t want to spoil them for anyone else. Interesting then that as I started to read the tale of Phoebe Turner I guessed what was coming about fifty pages in. At this point I briefly considered stopping, so many books to read and all that, but the writing and characters kept me going and I am so glad they did because the author has many more unexpected twists and turns in the narrative along with murky mysteries and spooky gothic moments to come which wrong foot the reader. Or do they? As with this book you sometimes think (or hope) another twist is coming and occasionally they don’t or sometimes they do and keep on twisting. I am aware I am being rather cloak and dagger but with books like this you have to be. Phoebe Turner is a young woman growing up in Victorian London’s East End. She is a girl living with two very polar influences over her life in the forms of her mother Maud and her Aunt Cissy. Her mother is god fearing and restrictive, her Aunt is former stage star who makes occasional appearances at Wilton’s Music Hall and Phoebe finds herself being ruled by one and yet tantalised by the other. Things change in Phoebe’s life , though what of course I am not going to say, and she soon finds herself living in the sparse countryside of Hereford at Dinwood Court, where she becomes a companion for Mrs Samuels, a rather mysterious woman who has become somewhat of a recluse. Here in the old country house strange things begin to happen, some very creepy, and there are mysteries lying in wait which might have more to do with Phoebe than she could ever believe. My initial criticism, and one which I actually thought might mean I left the book unfinished, was as I mentioned the feeling I knew what was coming. Yes there were some twists I didn’t see coming but the main one I predicted from the start. I should mention here that I was in the very lucky position of interviewing Essie Fox on the latest episode of The Readers with Gav and having talked to her I discovered she wanted you to know more while Phoebe didn’t so you had the feeling of watching something awful coming from the sidelines, and then being surprised further. Obviously I read the book before that and so didn’t have that knowledge at the time, so what was it that made me read on? I hate to use the cliché of ‘page turner’ because some people seem to think this is a dirty word (why I am not sure, the point of a book is surely that you want to turn the pages and read on) but ‘The Somnambulist’ is definitely such a book. I read the first 120 odd pages, which makes up the first of the books three parts, in one evening simply seeing if this might all be leading the way I thought it would. I found myself really enjoying the company of the main characters, though Phoebe does remain somewhat of a mystery throughout, and the supporting cast of characters such as Old Riley who is Cissy’s right hand woman and becomes a marvellous fraudulent spiritualist medium (I find spiritualism, especially in the late 1800’s fascinating) and Mr Peter Faulkner who is wonderfully lecherous and stole any scene on any page he turned up on. Oh, how could I forget Mrs Samuels’ butler, Stephens, who came across most Danver-esque. ‘The Somnambulist’ was simply a pleasure to read all in all. I enjoyed getting drawn into it and the fact that I knew what was coming gave me a rather comfortable feeling weirdly. It was a perfect read for several very cold windy nights; I felt a certain safety with it despite the books overall darkness. Yes things surprised me too, which was an added bonus, but there was a familiar side to the book which I found immensely readable along with a bunch of characters I wanted to spend my evenings with. It’s a rather promising start to Essie Fox’s writing career and from what I have heard I will be enjoying her darker more twisted second novel when it comes out in the autumn. Mermaid’s, madness and brothels in the Victorian era, oh yes please. 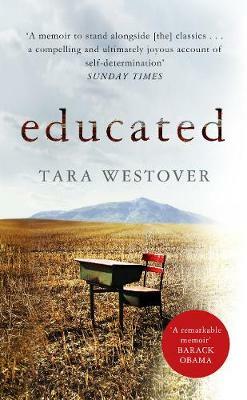 Has anyone else read this book and if so what did you think? I will be watching the TV Book Club with interest this Sunday when they discuss it. I wonder what they will make of it. Oh and I should say that if, like me, you love all things Victorian do pop and read Essie’s blog on the era, it’s great. I have a feeling that you will be seeing a lot more Victorian based reads over the next few weeks and months on Savidge Reads as it’s given me the appetite for them again.